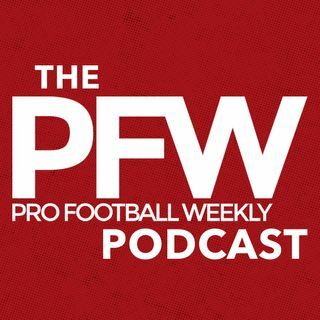 NFL Training Camps are just around the corner and the Pro Football Weekly Podcast is back!! Arthur Arkush and the PFW Crew begin a division by division preview of the 2016 NFL season taking a division each week and breaking down the changes, improvements and prospects of each NFL club. We start this week, with the AFC West. Will the Denver Bronocos return to the playoffs as denfending Super Bowl Champs? Can the Kansas City Chiefs get over the hump to a post-season? Are the Okalnd Raiders a ... See More wild-card team? Are the San Diego Chargers likely to finish at the bottom of the AFC West? The guys discuss this and much more in this week's Pro Football Weekly Podcast!